Spiked sparkling water with a hint of peach & honeysuckle. 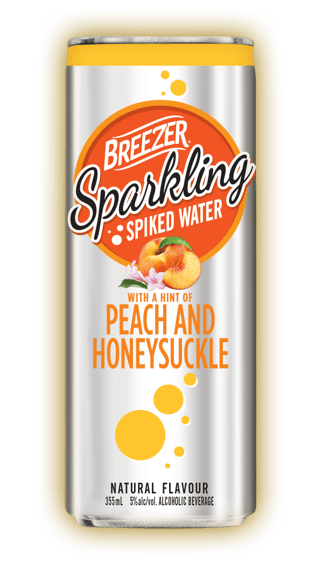 Spiked sparkling water with a hint of natural peach & honeysuckle flavours and 5% alcohol, refreshing and bubbly without all the calories. 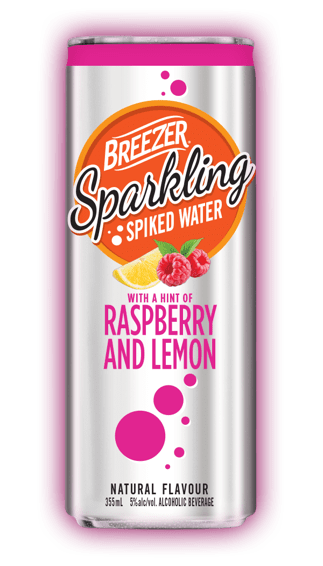 Spiked sparkling water with a hint of raspberry & lemon. Refreshingly subtle, enjoy the subtle, sweet and tart combination of fresh ripe raspberry and juicy lemon. 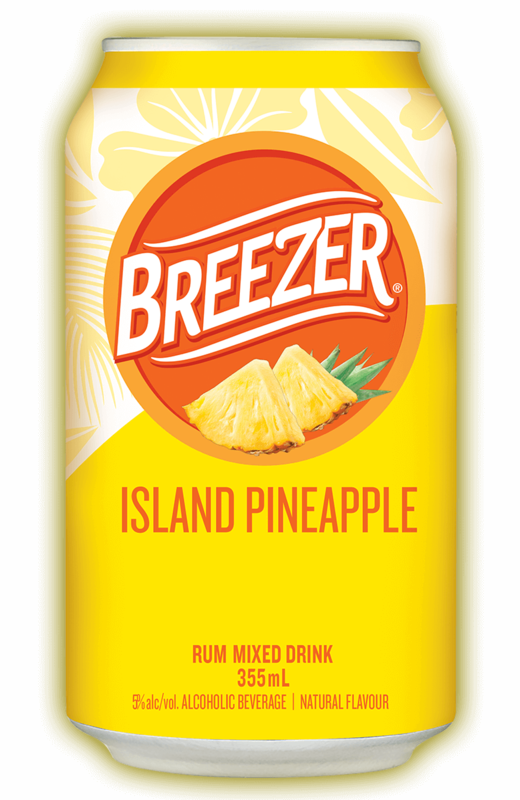 We’ve captured the luscious flavour of fresh cut ripe tropical pineapple and created a refreshing rum based beverage making it the perfect for enjoying with friends to give you a taste of the tropics where ever you find your carefree oasis.  Bursting with coconut and ripe fruit flavours. 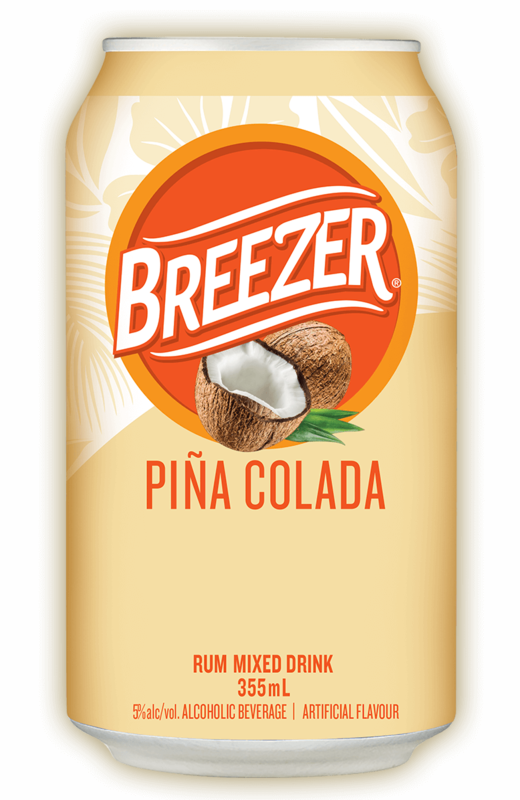 Pina Colada is an exotic beverage synonymous with sunshine and island fun. 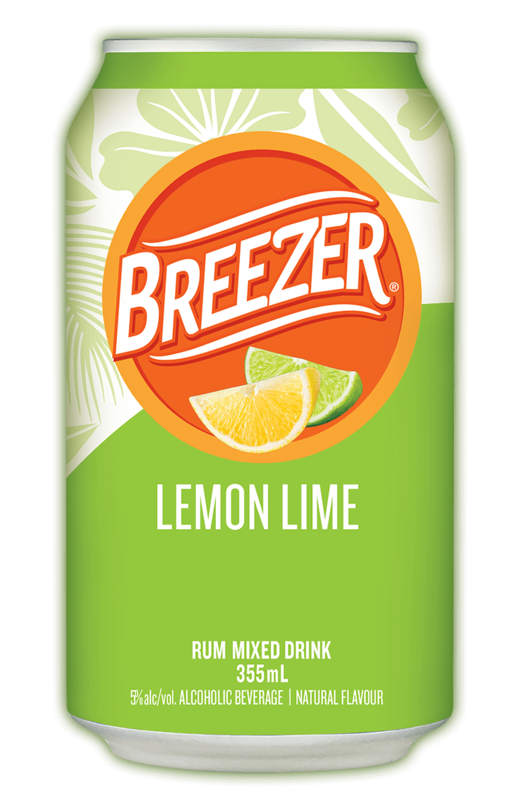 We’ve created this refreshing succulent rum based beverage with a delicious fresh taste and clean finish. Enjoy! Packed with watermelon punch & sweet berry flavour. 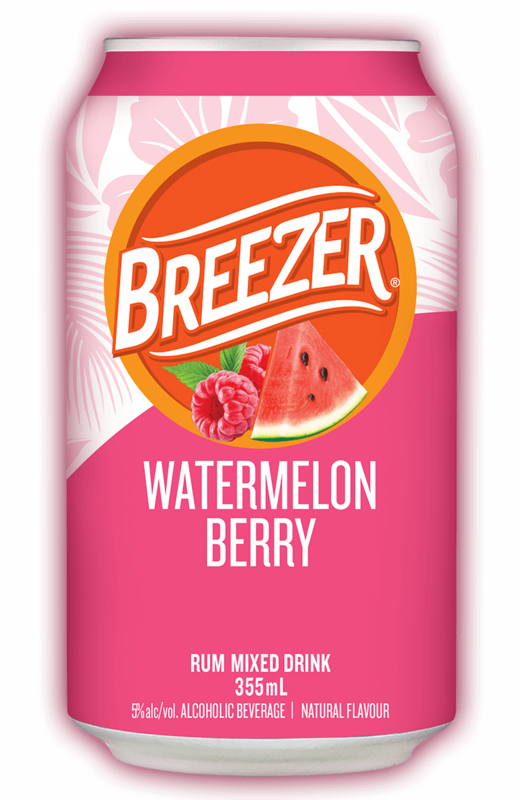 Refreshingly delicious, this unique combination of mouth watering watermelon and luscious ripe red berries screams summer fun. Nothing says Summer more than a refreshing Lemon Lime punch. This delicious cocktail is well balanced with crisp tangy citrus flavours you know and love. 5% alcohol. 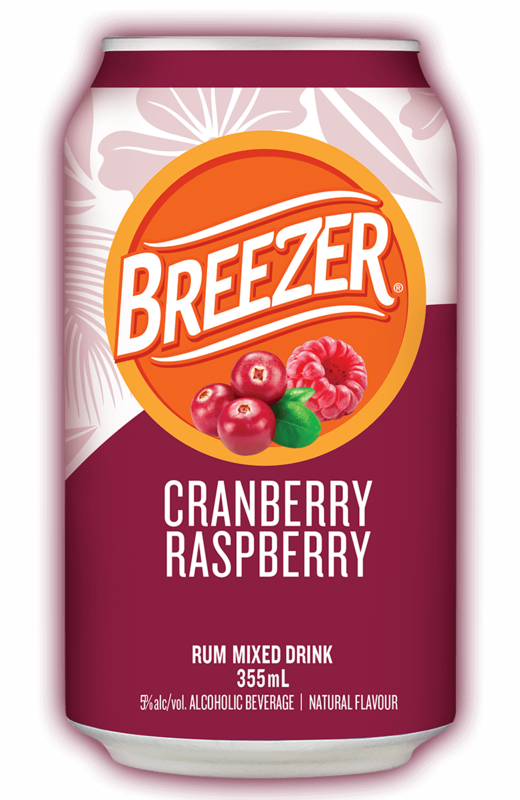 Enjoy the classic combination of tangy tart cranberry and ripe sweet raspberry. A refreshing beverage with 5% alc. for dockside, poolside or anywhere. 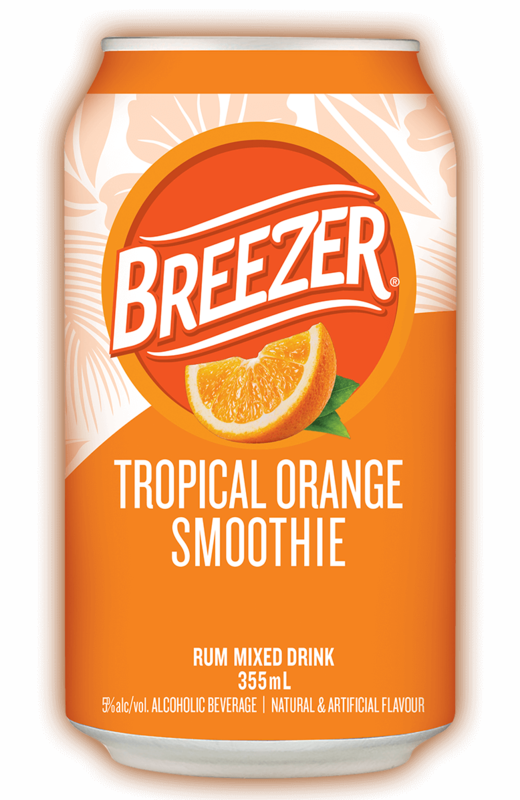 ©2019 BREEZER is a trademark.